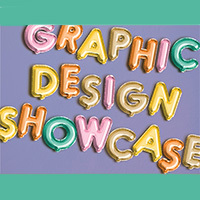 Webster will host the 5th annual Graphic Design Showcase Dec. 1, from 11 a.m. - 1 p.m., in the East Academic Building, Edward Jones Commons. This showcase is an open portfolio review event in which graphic design students will present their most recent digital and print portfolios. Students will have individual tables with their portfolios displayed and will be prepared to offer explanations and answer guests’ questions. Local designers, art directors, and human resources representatives with an interest in design are encouraged to stop by to meet the talented graphic design students. Faculty members and other Webster students are also encouraged to attend. This is an excellent opportunity to meet Webster University Graphic Design students while reviewing and offering feedback on their design work. Students will benefit from the opportunity to present and receive feedback on their work while networking with local professionals. While an RSVP is not required, it is encouraged that those interested visit this link if you are planning to attend. Refreshments will be provided.